This listing is for one luggage tag, use the drop box to select quantity to however many you need. 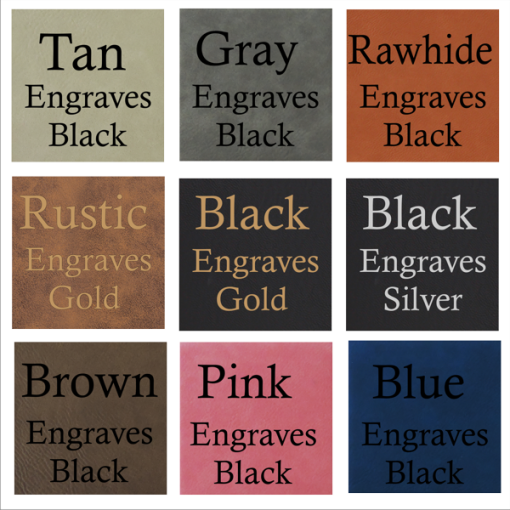 measures 4.25″ x 2.75″, choose any options you like or a combination of them. 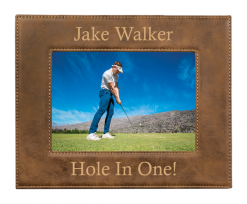 A great gift for every occasion, Birthdays, Engagements, Anniversaries, Weddings, Graduation, Retirement, Family Gifting, Holidays, House Warming and Thank you gifts. 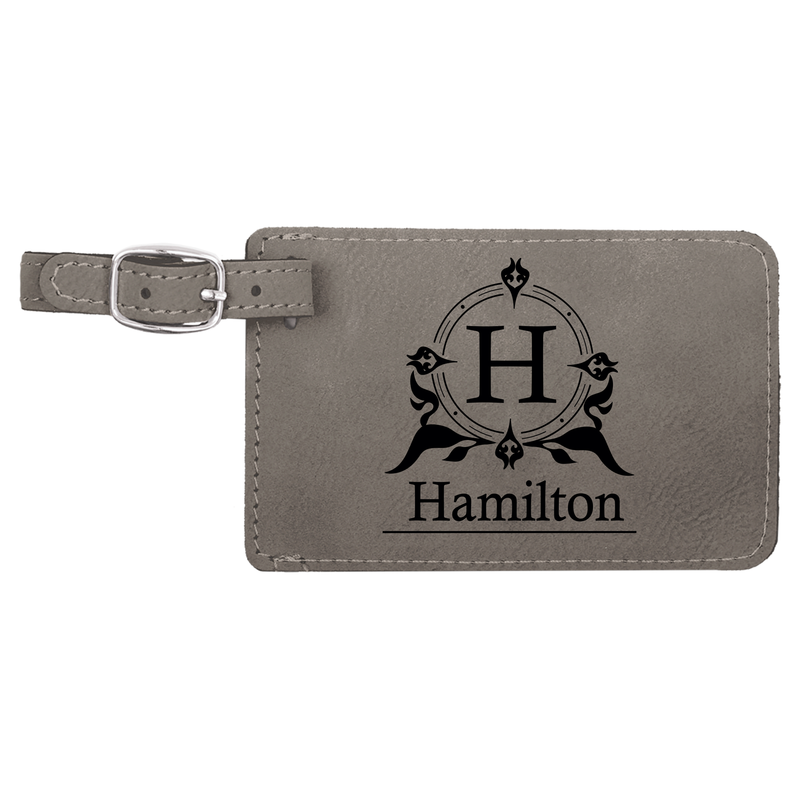 This nicely textured luggage tag, feels great and soft to the touch. 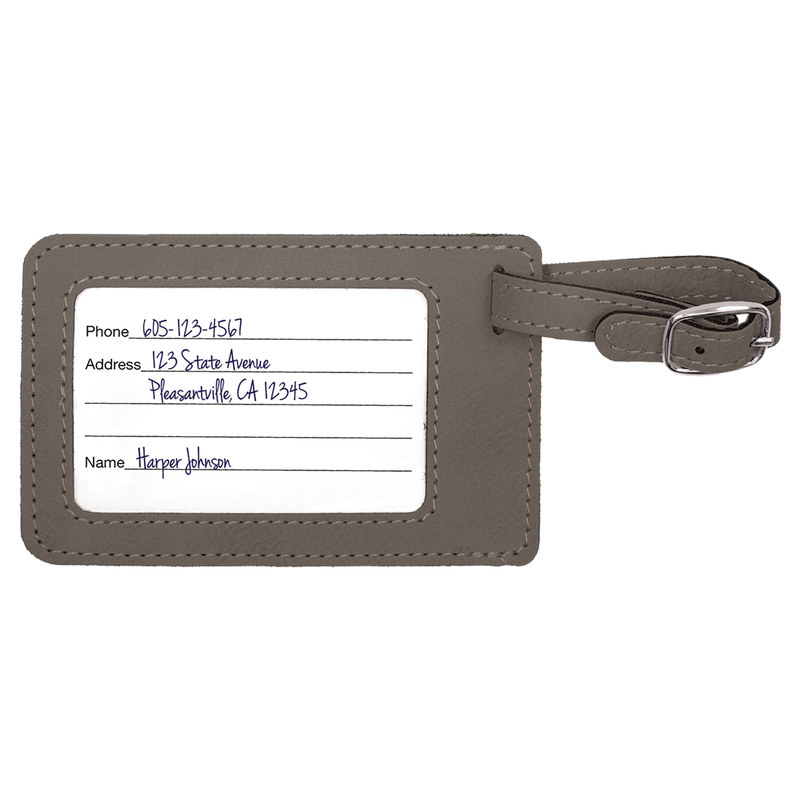 Each luggage tag has a clear view plastic window on the back with a removable white paper insert for name, address and phone. We engrave these at the highest settings to achieve amazing detail, the high quality workmanship of each leatherette piece is sure to impress every recipient with its elegant individuality. Our luggage tags come securely wrapped in a nice signature presentation box, ready for gifting. 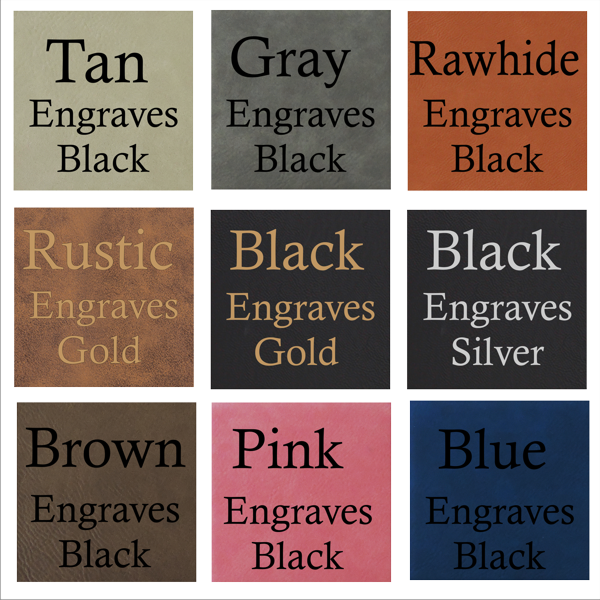 Color Choices: Tan, Brown, Rawhide, Grey, Blue, Crimson and Pink all engrave Black – Black engraves Gold – Black engraves Silver – Rustic engraves Gold. NOTE: The color the coasters engrave cannot be changed. HOW TO ORDER – Add to cart (choose a design). We offer more designs in the luggage tag category of our shop. Note to seller – Please specify design choice: include information per design, names, initial, etc. Be sure to double check spelling, punctuation, etc. 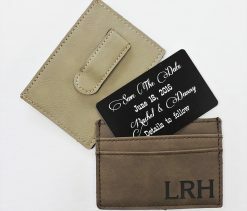 (Note, we do not engrave the backside of the tag). All orders placed before 11:00 M-F ship same day, after 11:00 AM will ship next business day. All orders placed before 8:00 AM EST SAT. will ship same day. All orders ship USPS 2-3 day delivery to a US address, we do offer Priority Mail Express for quick ship. PLEASE CONFIRM SHIPPING ADDRESS, PER ETSY POLICY WE ONLY SHIP TO THE ADDRESS ON THE ORDER. IMPORTANT NOTE: We do not provide a draft unless requested, any requests for a draft will delay the order by 2-3 additional business days. We do not include any invoices or receipts with orders. This is an original design by Forever Me Gifts. All of our content, designs and products are copyright © and trademark™ Forever Me Gifts. 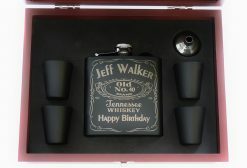 Thanks for looking and we hope to create that special gift for you.